We can’t believe its Creative Arts Week Day 4 already! This morning the sports hall was turned into a film set as the whole school gathered to film a segment for this year’s school production of Oliver. Staff joined students in costume to sing the ‘Oompahpah’ song which you will be able to see at the premiere on the 16thJuly. 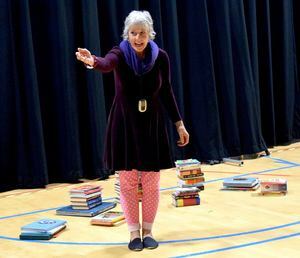 It was then time for an enchanting story by performer, writer and expert storyteller Danyah Miller who read ‘I Believe in Unicorns’ by Michael Morpurgo. The story is set against the backdrop of war-torn Europe, and explores the power of stories to transform lives. It was beautifully presented by Danyah. 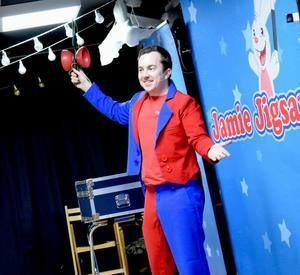 It was then time for some magic and entertainment by our friend Jamie Jigsaw. Jamie’s quickfire magic and funny delivery had us all enthralled. It’s the last day of Creative Arts Week tomorrow but it promises to be amazing as we finally get to see what the classes have been busy making for the classroom challenge. There is also The Big Bang Talent Show taking place, where the students get to perform in front of the school and a panel of judges. It’s going to be great!